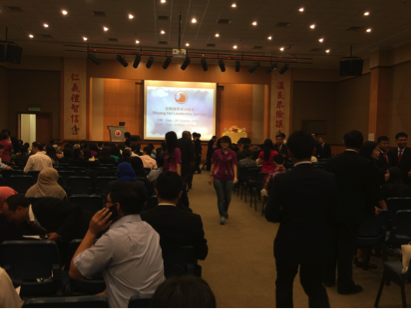 Shuang Hor recently put together a full-day seminar for people who are exploring ways to improve their lives - be it in terms of earning extra pocket money or wanting to start their own business or looking for time freedom or looking for solutions to their health problems etc. The response was overwhelming. 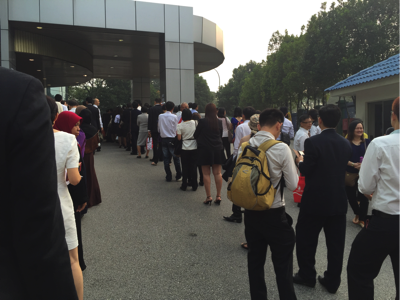 Look at the queue outside Shuang Hor office at 8.15 am on a Sunday. We were in 3 orderly lines and patiently waiting for our turn. Everyone was professionally attired. 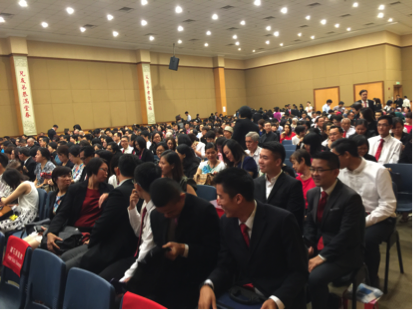 After registration, we made our way to the big meeting hall and settled down. Translator kits were provided for those who don't understand Mandarin. Volunteers were ready to translate into English, Malay and Myanmarese languages. The kind usherers clad in purple ensured that all our queries were attended to. There were easily more than 600 people. All came with the right attitude to learn and then put into action what we learnt. We had our notebooks, pens and voice and video recorders ready, to make sure we didn't miss out any word from the 11 speakers. These 11 speakers were specially selected for their experience which they have accumulated over many, many years of doing this business and they shared their experiences sincerely. The first half of the day was dedicated to all the products Shuang Hor Malaysia carries - their features, functions, benefits, what makes them different from others in the market and many testimonies from happy consumers. 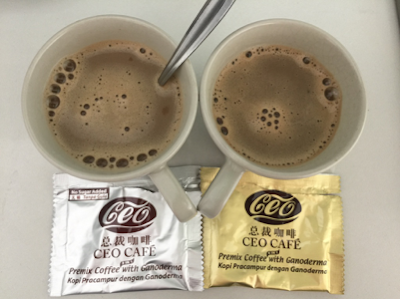 The second half of the day we learnt in detail how to work this business - what is the 3,200 PV Foundation, how to conduct a successful meeting, the 5 types of meetings, how to use the flipchart effectively and most importantly, the right attitude to adopt when doing Shuang Hor Business. Here's a random collection of what I learnt.. The full text of this post is in my Private blog.